As they say, love will find a way. 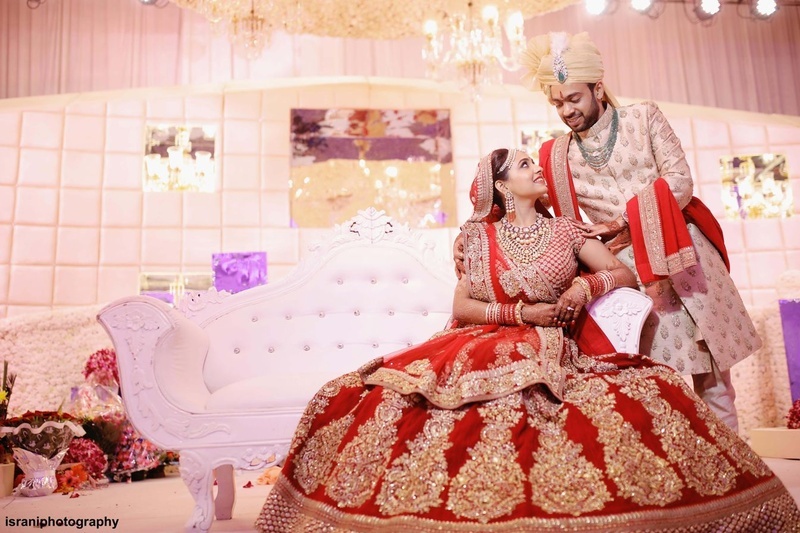 Priyanjali and Abhishek met the conventional way - for an arranged match and it didn't take them long to fall head over heels in love with each other. 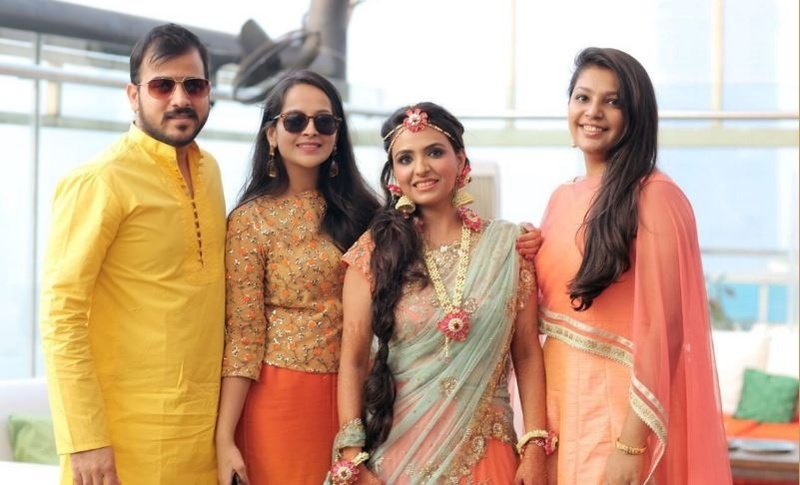 Our Bollywood bride, Priyanjali always wanted a big fat Indian wedding and everyone came together to make her dream come true. 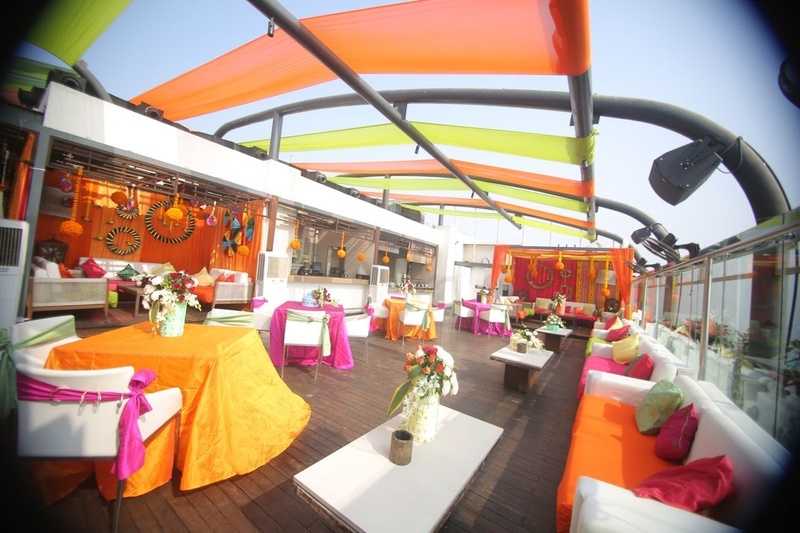 From a mehendi evening to a Great Gatsby themed cocktail night at St Regis - they made sure nothing was left out. 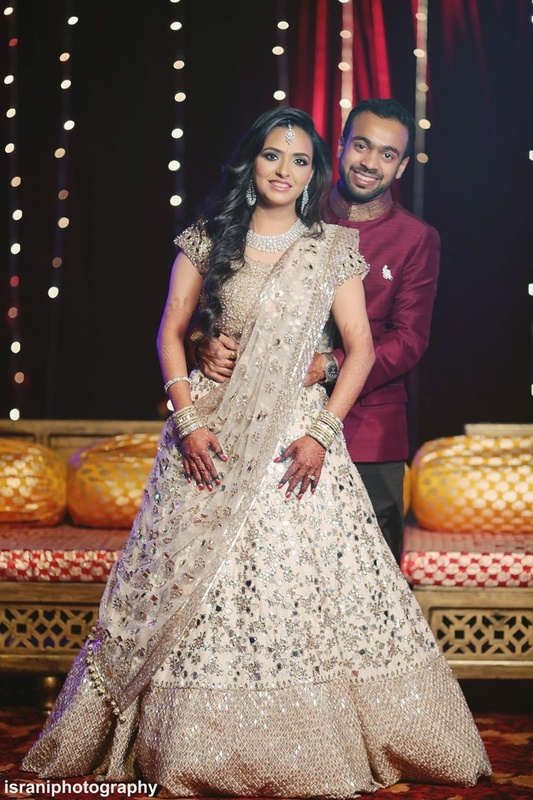 The radiant bride-to-be stole our hearts away in a blue gown by Nikhil Shantanu, complemented beautifully with makeup by OJAS Rajani. 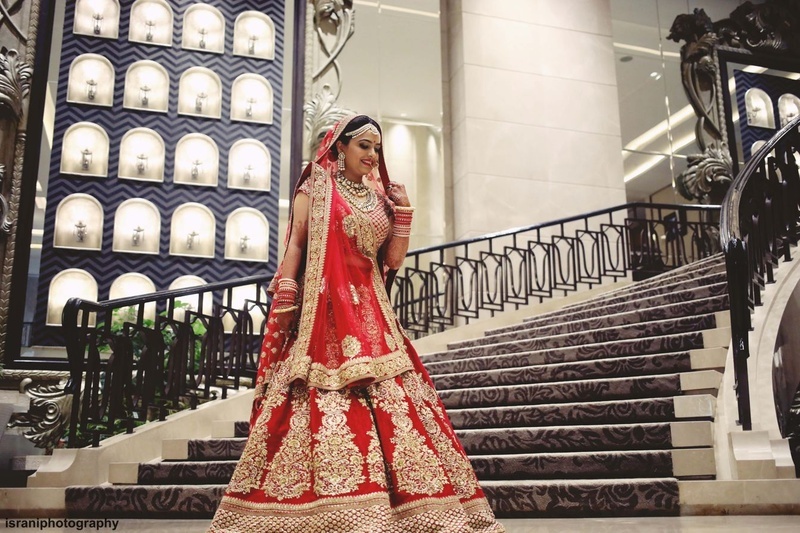 She wore a Manish Malhotra lehenga for the sangeet held at NSCI Dome and rocked the dance moves choreographed by Vishal Kanoi. 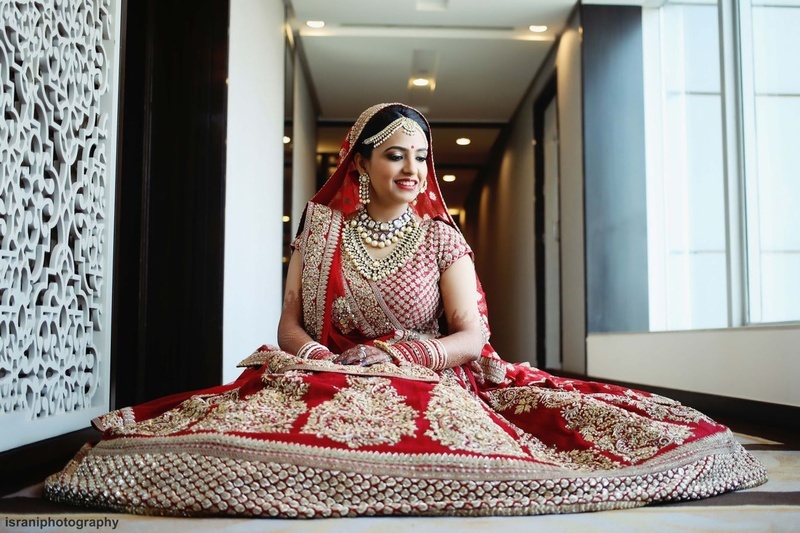 The Sabyasachi bride looked absolutely stunning on her big day and her makeup was by Kapil. 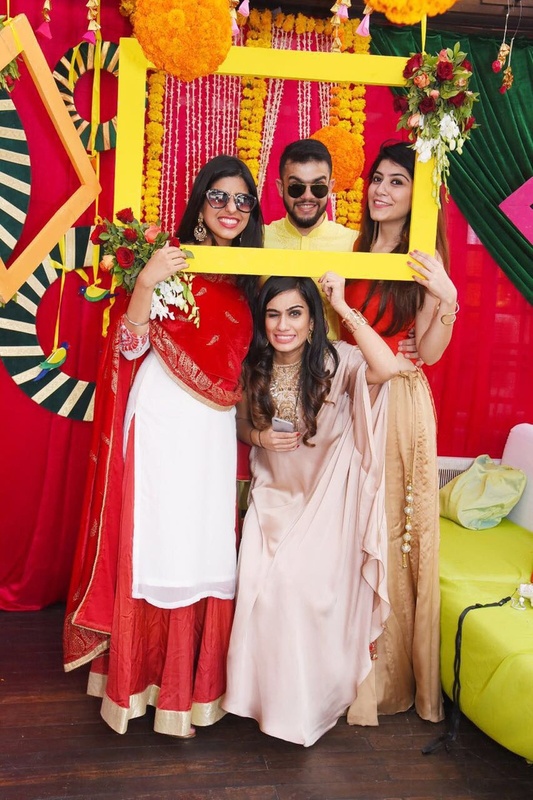 All the fun, colours and good vibes were captured beautifully by Israni Photography and it fills our hearts with love! 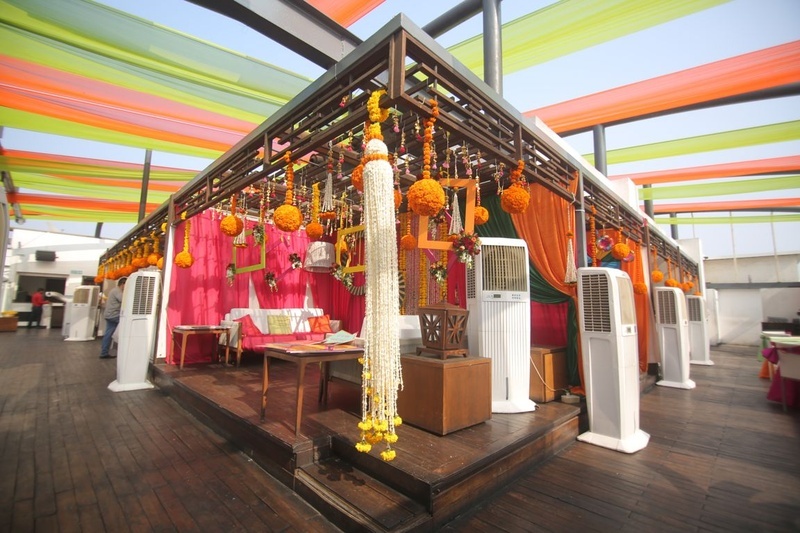 Hanging genda phool decor for the mehndi ceremony. 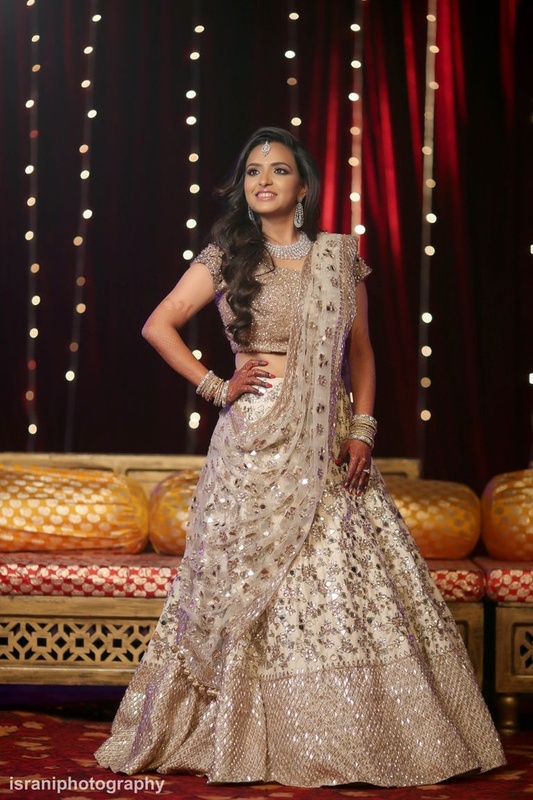 Dressed up in white and gold lehenga by Manish Malhotra for the sangeet ceremony. 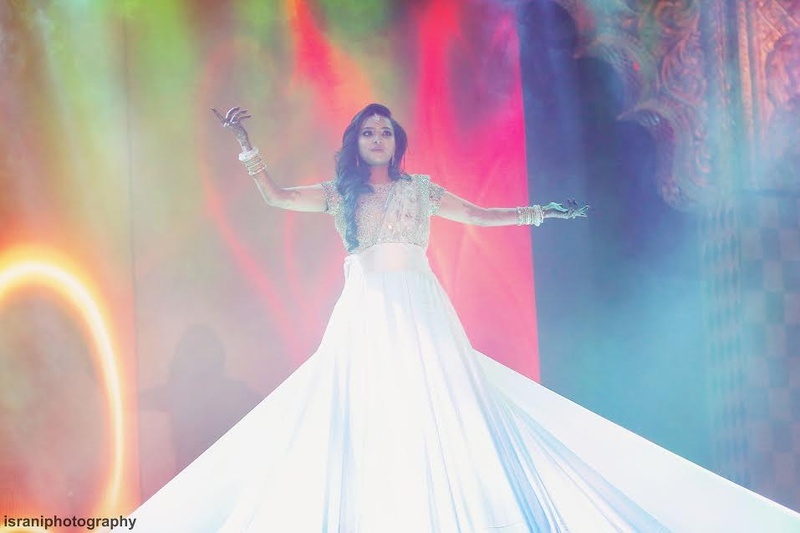 Priyanjali dressed up in white and gold whereas Abhishek wore a wine color gala bandh for the sangeet ceremony. 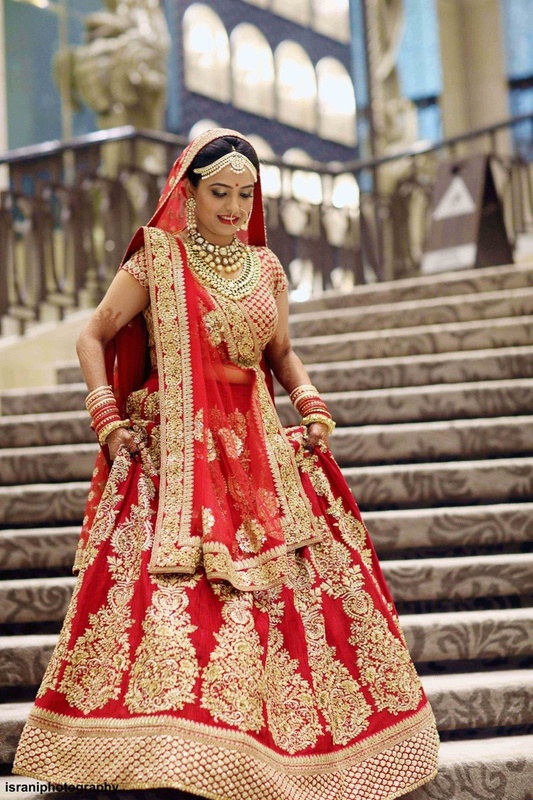 Dressed up in regal red and gold bridal lehenga by sabyasachi for the wedding day with beautiful polki jewellery. 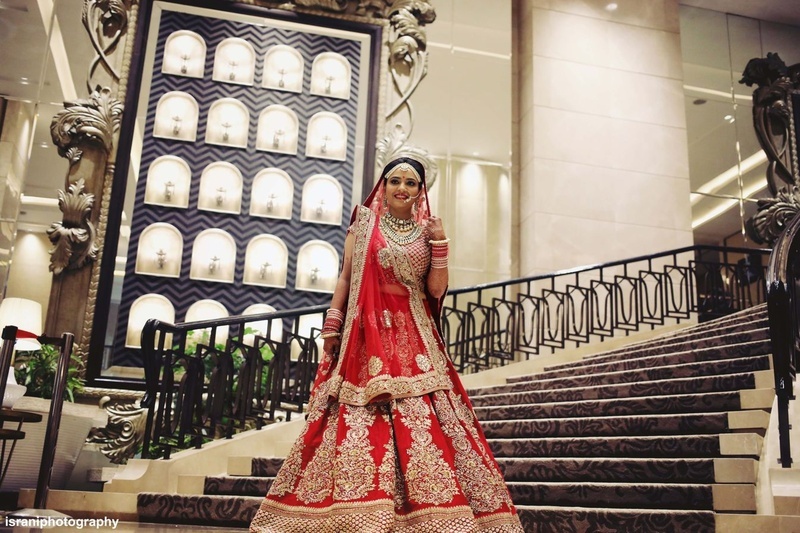 Walking down to the wedding ceremony adorned in classic red and gold bridal lehenga and classic polki jewellery.